Today, August 16, would have been my father Mel’s 90th birthday. I was reminded of this when looking at the selections from his record collection that I saved from his house after my mom also left us last year. 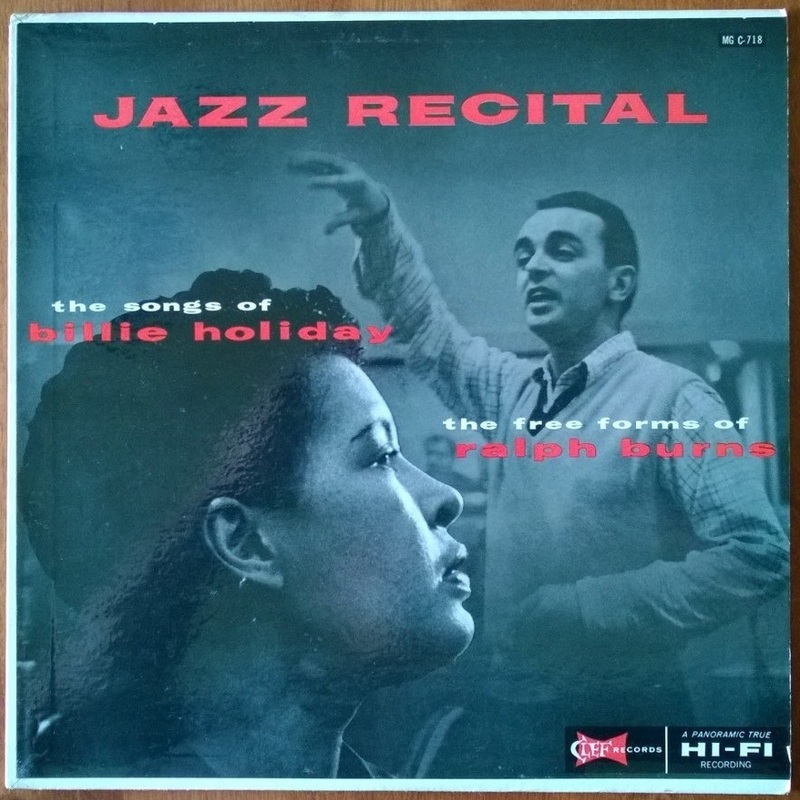 Mel was a passionate jazz fan for all of his adult life, and had an impressive collection of records (78, 33, and even 45 rpm) going back to the early 1940s. 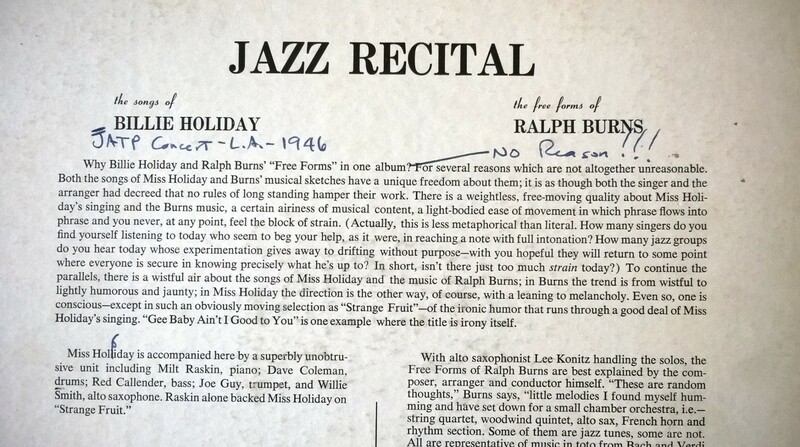 Our father also was a man with strong opinions, as you can see from his notes on this 1956 album “Jazz Recital,” featuring one side of Billie Holiday singing and another side of completely different music featuring Ralph Burns’ “free form” arrangements. “No reason” indeed!